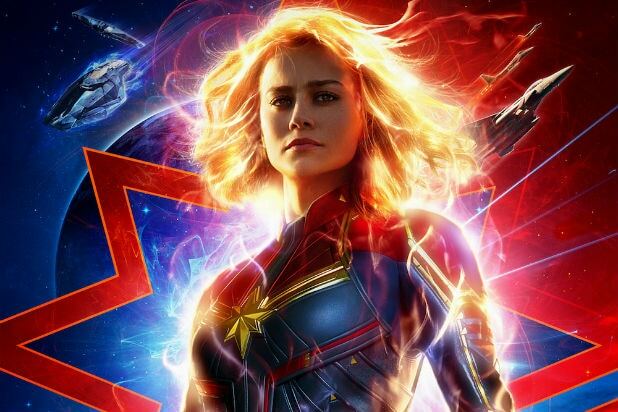 Viewers are taken back in time as Captain Marvel lights up the box office during its opening weekend selling $900 million in tickets. This is Marvel Studio’s first leading female superhero movie. Set in the 1990s, the light-hearted, humorous, and actioned-packed film provides some viewers with nostalgic feels for the decade as the heroic tale follows one woman’s accidental journey to self-discovery. In Captain Marvel, the main character, Vers, is a member of the StarForce and played by actress Brie Larson. She learns that she once had another life on Earth as Carol Danvers. The plot deepens as the hero embarks on a journey not only about saving the world, but about saving who she once was. Fans get to follow her as she battles shapeshifters and fights to be on right side of justice. What stood out the most about the movie is unlike most of Marvel’s other films, surprisingly, there isn’t a love interest for Carol Danvers. I found myself waiting and waiting for that love story to blossom, but it never happened. Honestly, I appreciated it; and I think that other women and young girls will appreciate it too. Because whenever there is a female lead in a movie, especially in Hollywood films, her goals are often overshadowed by her relationship with a man. Moreover, in numerous movies with a female lead, the sole purpose of the movie is the woman’s relationship. Consequently, it was refreshing to see something different. Nevertheless, Marvel Studios is smart. Although there isn’t a love interest, there is still plenty of love. As I mentioned earlier, Carol Danvers, previously known as Vers, embarks on a journey to learn about her true identity. On this path, she learns about the family and friends that were left behind when her new identity was established. Viewers get to see her rebuild those connections and find the love she once had. Not only do audiences get to see her rekindle relationships stolen from her, but moviegoers see Carol Danvers create new, caring relationships such as the one she establishes with the founder of The Avengers, Nick Fury. Audiences find out that their sidekick-like friendship full of banter is the reason that older Fury reaches out to Captain Marvel during the Avengers time of need. This movie is a perfect flashback that sets up Marvel’s Avengers: Endgame. It even teases the movie in one of its two post credit scenes. Overall, I recommend seeing this movie. I think that Brie Larson is able to make the fearless, edgy, tough, yet caring superhero come alive on screen. I think that viewers will enjoy getting to know this addition to the Marvel franchise, and ultimately finding out how she could play a key role in helping the Avengers in Marvel’s next movie.